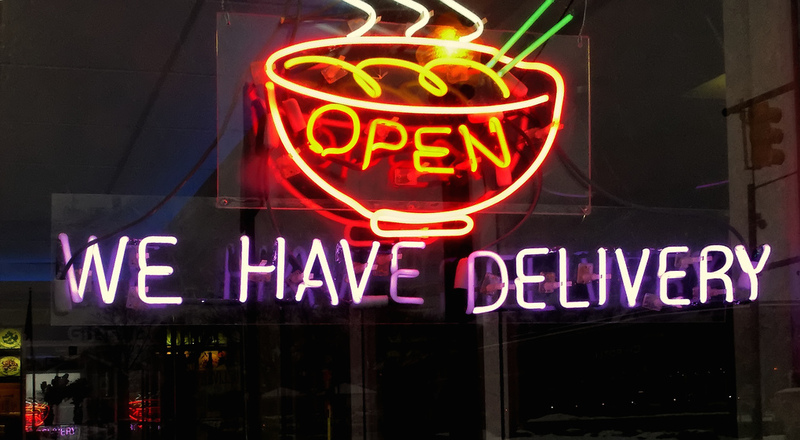 There’s a new player in the arena of online food ordering: Groupon launched its own online food service for customers who want to either pick up their chow or have it delivered — but it’s only in Chicago for now. Eventually, as the service expands, Seamless and GrubHub (which are owned by the same company) could have a rival in the competition to fill customers’ empty bellies with the touch of a button. Groupon To Go launched today in Chicago, with about 500 restaurants available for orders. The Verge reports that Groupon plans to expand the service pretty quickly, expanding to Austin and Boston this fall and nationwide eventually. Currently, Groupon is working with restaurants that already have their own delivery services in places, but could eventually introduce the option to have Groupon To Go handle the deliveries. Some of the restaurants currently involved in the program include: Quiznos, Popeyes, Subway, and Papa John’s as well as Chicago restaurants like Ditka’s Restaurant, Al’s Beef, Adobo Grill, BIG & little’s, Freshii, Rosati’s Pizza, Star of Siam, and Wishbone. So what makes Groupon To Go different from the other food-fetching businesses out there? The company says it will save customers up to 10% on every order, bringing the lure of a “savings” aspect to the service. Sean Smyth, VP and GM at Groupon To Go, told TechCrunch that the idea for the service grew out of what customers already want from Groupon — food and drink is a popular category, and the company already works with a lot of restaurants trying to promote their own takeout and delivery options. That led Groupon to offer more of an “end-to-end” user experience, Smyth says. Groupon is already be in the online ordering game in about 40 cities through its recent acquisition of a platform called OrderUp earlier this month. Though company will continue to use that moniker in “midsize” markets, it will use the Groupon To Go brand for major cities like Boston. “It’s one thing to promote menus and get orders, but how do you get that last mile? It’s that last mile that really inspired us to look at a company like OrderUp,” Smyth told TechCrunch. Though the system is pretty basic and requires restaurants to do their own delivering, eventually Groupon might offer to handle delivery services for businesses, and add features like the ability to schedule delivery and takeout orders for a specific time.